Despite our focus on German tools, our namesake is based on the wonderful city which we call home: Kansas City. Autumn in KC is marked by the change in fall foliage, cool crisp air, and the world famous American Royal. 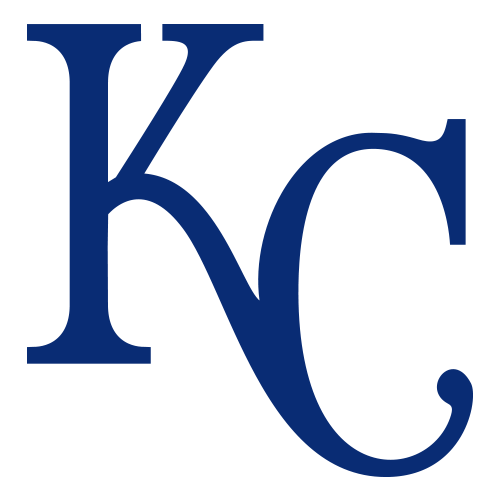 Postseason baseball can now be added to that list as the Kansas City Royals make their second consecutive appearance in the World Series. Despite a heartbreaking Game 7 bottom of the 9th loss in 2014, the Boys in Blue were resilient over the course of the 2015 regular season securing their spot in The Fall Classic. Up until last year there had been a 29 year drought in Royals postseason baseball. Instead of Netflix vs. Hulu it was VHS vs. Betamax. The original Nintendo system was introduced in the United States in October 1985. We are glad to see our ball club back in the spotlight. F53167 6 piece Slotted & Phillips Screwdriver set. This set features Felo’s patented “Ergonic” style handle which is a surprising balance of soft yet firm. The design is very comfortable in the hand and can help reduce the aches and pains when using in long durations. This set features 4 slotted and 2 Phillips (#1, #2). Click the picture above for pricing and more information. 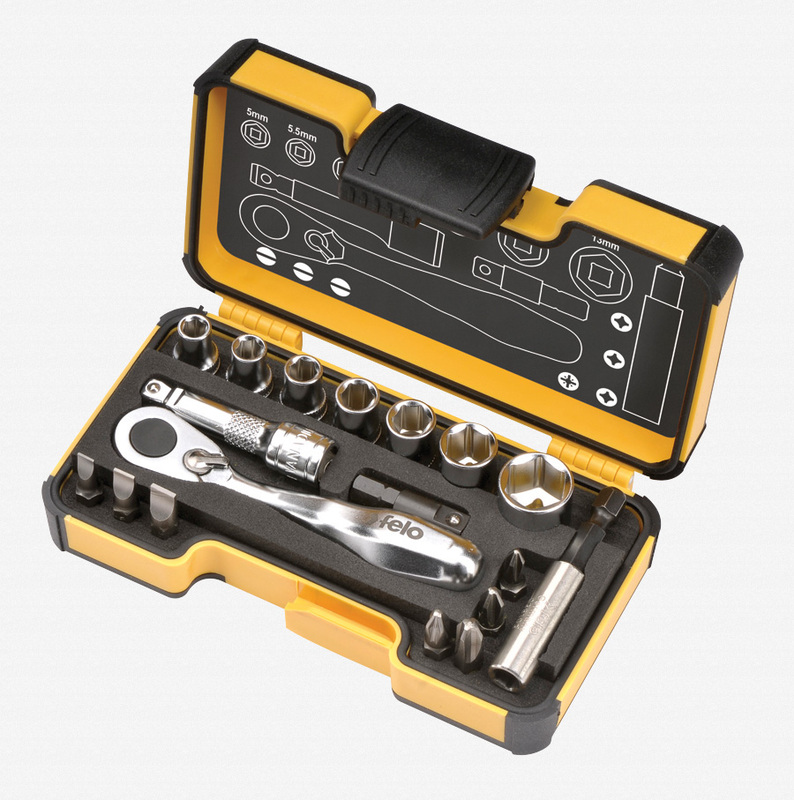 Next up is the F61545 XS 33 Piece Bit Ratchet Box Set (click the picture below). 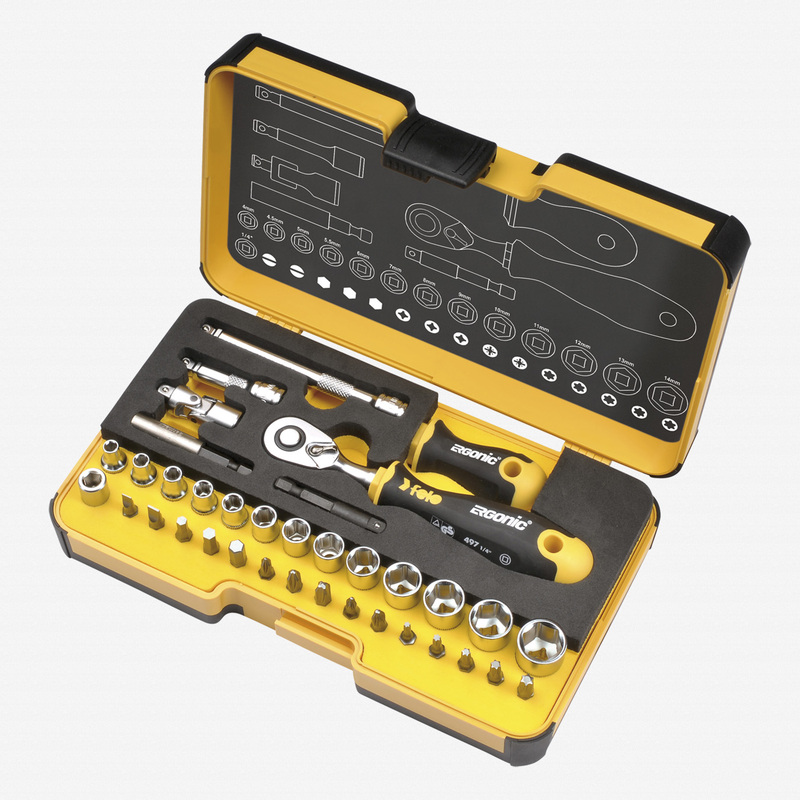 This set features a variety of bits including Slotted, Phillips, PoziDriv, Torx, Security Torx, and SAE hex (for in-hex screws). Felo’s bit ratchet features a 15° offset head making it great for tight spots and is made in Germany. 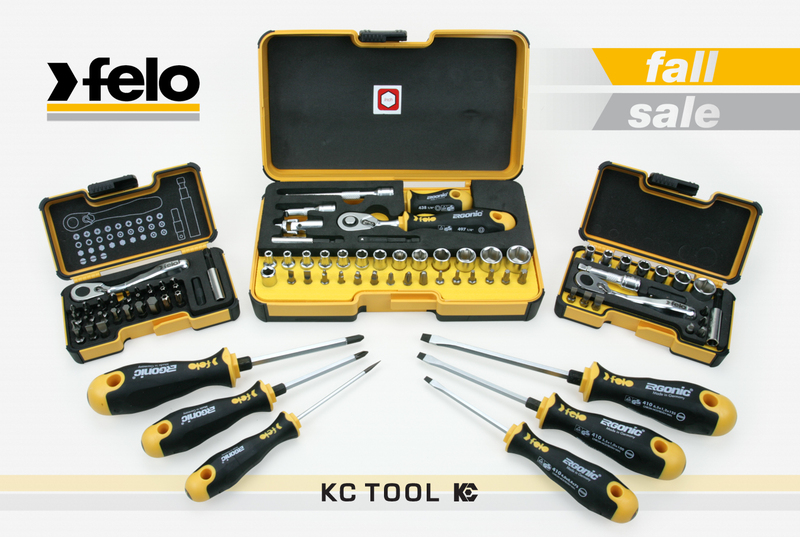 Pictured below is the Felo F62059 XS 18 Piece Bit Ratchet Box Set featuring a selection of sockets and an assortment of 1/4″ insert bits. This is a very handy kit to keep in the drawer next to your flashlight and weather radio — it doesn’t have every size, but it has a lot of the common fastener heads/sizes included — all of which are neatly stored in the Felo GO Box. Click the photo below for pricing & additional details. Last up is the F62053 36 Piece R-GO XL Inch Set. 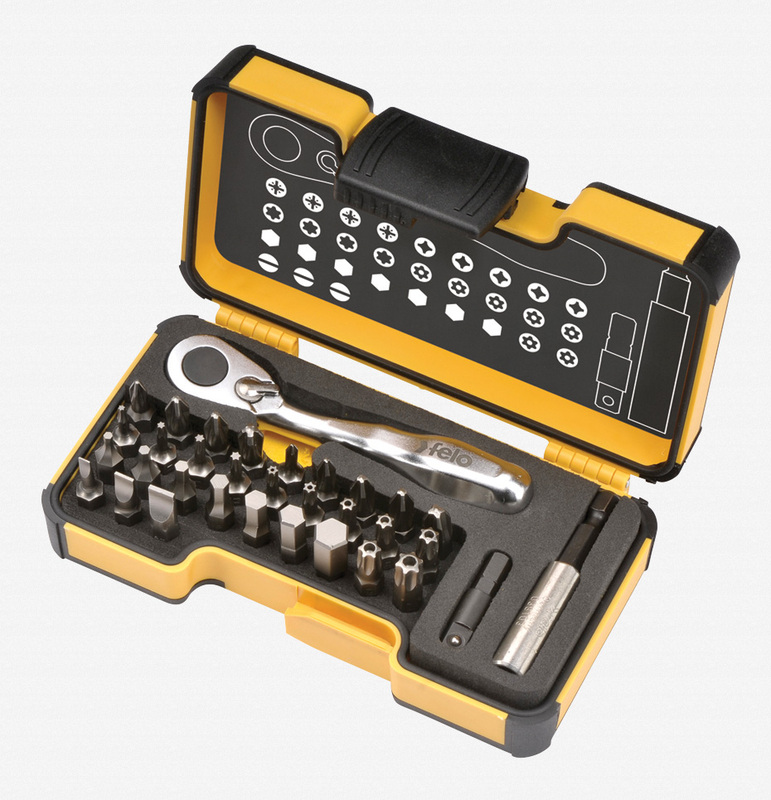 This set features a 1/4″ square drive ratchet with an assortment 1/4″ drive sockets, adapters and extensions. A larger version of the “GO” box is used for this set which is a great solution to keeping all of the small pieces in one place. 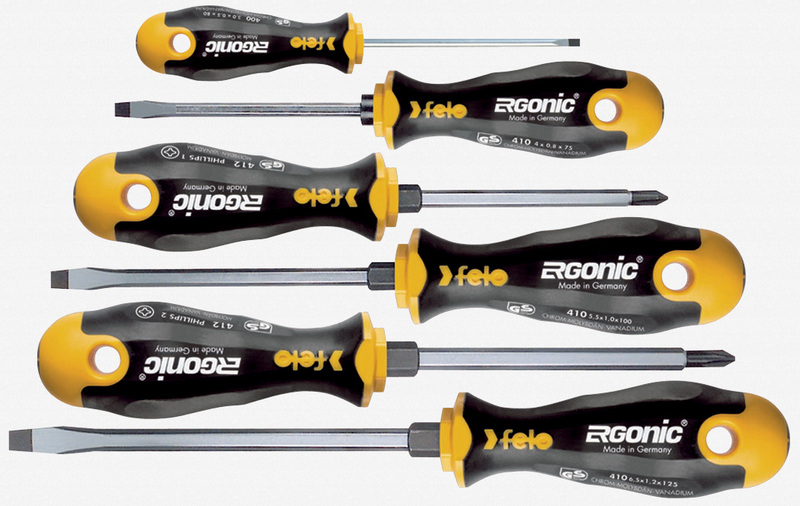 If you’re looking for tools for Christmas presents (whether for yourself or others) you can’t go wrong with this set — it’s sure to please any German tool fan as well as sway the uninitiated. Click the photo below for pricing and additional details.